Since 2017, Zhongchang Wang started as a principal investigator (PI) and senior staff researcher at INL, and established a research group of “Atomic Manipulation for Quantum Nanotechnology” at INL. He is going to work on structure-property interplay of two-dimensional materials and nanomaterials at the atomic scale so as to fulfill atomic manipulation of quantum nanostructures by combining transmission electron microscopy, spectroscopy, first-principles calculations and property assessment. Zhongchang Wang received his Ph. D. in materials science from the University of Tokyo in Japan (2007). 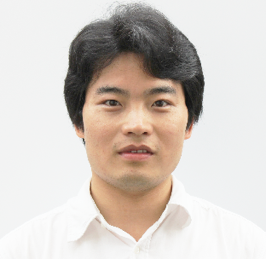 He thereafter spent two years (2008-2009) as a research associate at Advanced Institute for Materials Research, Tohoku University (Japan) and subsequently three years (2010-2013) as an assistant professor. In 2013, he was promoted to associate professor at Tohoku University. In 2016, he was also a visiting scientist at University College London (UCL), UK. He has received a total of 19 research grants from government and companies, and (co-) authored over 200 peer-reviewed SCI-indexed papers in Nature, Nature Nanotech., Nature Commun. Adv. Mater., Angew Chemie, Nano Lett., ACS Nano, Phys. Rev. etc., with ten papers appearing in Nature and its series. He has also delivered over 40 invited talks in international conferences and received several awards from Japan and USA.